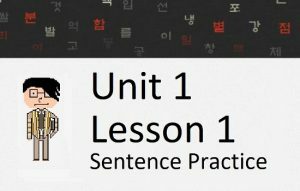 Welcome to Unit 2 of HowToStudyKorean.com. 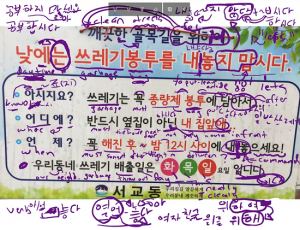 My son told me that he taught you some basic Korean grammar! That’s good, because here in Unit 2 you will start learning grammar that is a little bit more advanced! In addition to the increase in grammar complexity, vocabulary lists will have 100 words per lesson! This unit is hard, but hopefully not too hard because soon you will move to Unit 3 and meet my husband! 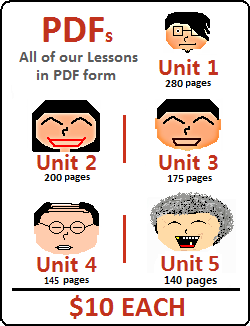 Lessons 26 – 33: In these first 8 lessons of Unit 2, you will be introduced to the incredibly important ~는 것 principle. Learning all about this principle will take a few lessons, and then after that, you will be able to learn other ways you can apply that principle. Lessons 33 – 41: In these next 8 lessons, you will build on what you learned from the beginning of this unit, and apply your knowledge to knew concepts. Knowing and understanding the ~는 것 principle by this point is key, as it will begin to be applied more and more often. 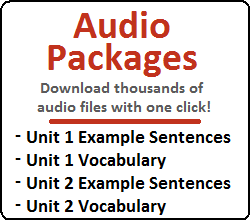 Lessons 42 – 50: In these final lessons of Unit 2, you will learn a variety of endings and sentence connectors. You will learn how to say “If…”, “When…”, “I must…”, “May I…”, “Shall we…”, “Lets…”, “I can…” and other common grammatical forms. Unit 2 Test: At the end of each unit, there will be a Unit Test where you can test yourself on what you learned from the previous 25 lessons. Use this Unit Test to test yourself on what was taught in Lessons 26– 50.